At Jewish Family and Children’s Services, we are proud of our strong commitment to full equality and inclusion of members of the LGBTQ community. We welcome our lesbian, gay, bisexual and transgender staff, board members, volunteers, and clients as essential members of the JFCS family. JFCS reaches out with programs geared specifically to meet the LGBTQ community’s needs. Counseling services for LGBTQ individuals, couples, and families—with special outreach to the elderly. Our clinical staff possesses the skills, experience, and sensitivity to work with those who are dealing with issues and concerns relating to sexuality and gender expression. Our clinicians include a number of LGBTQ-identified professionals. In the early to mid 1980s, as gay men in the San Francisco Bay Area and elsewhere began feeling the devastating effects of AIDS, JFCS responded with great care and urgency, establishing the first AIDS service under Jewish auspices in the country. Over the last quarter century, this service has touched the lives of hundreds of HIV-positive men and women—as well as their loved ones. A few years later, while the public and elected officials continued to debate the merits of adoptions by queer families, JFCS’ Adoption Connection became one of the first services in the country to help them become parents. 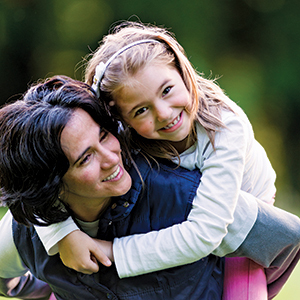 Since its inception in 1985, Adoption Connection has remained a national leader in expanding the meaning of family, helping hundreds of LGBTQ families experience the joys of parenthood.